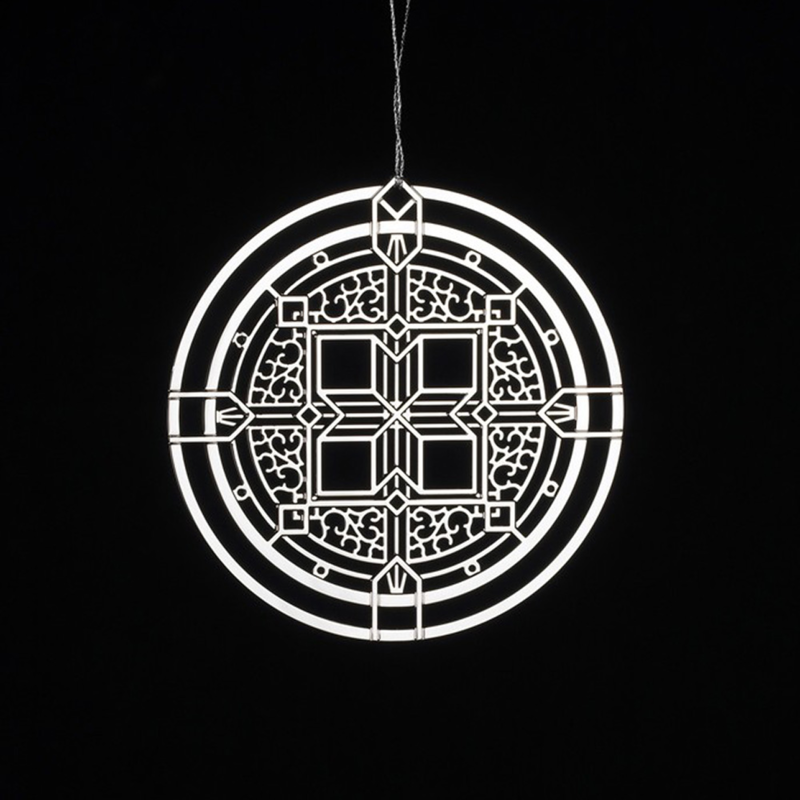 This ornament design was adapted from an interior window in the Joseph Husser House (1899). Now demolished, this turn of the century design exemplifies the geometric, intricate motif typical of Wright's early work. Made in USA. Brass with palladium (silver) finish. 3" diameter.